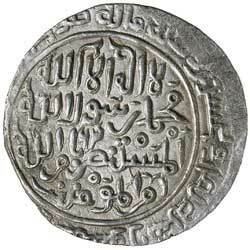 SULTANS OF BENGAL, Shams al-din Iltutmish struck in his name as Sultan of Delhi (A.H. 628-633, A.D. 1230-1236), Silver tanka, mint no name, (10.91 g), AH 628 (1230-1 A.D.), citing the caliph al-Mustansir, (G&G B45 RR). Very fine and very rare. Ex Dr V.J.A. Flynn Collection and Baldwin's Auction Sale 53, 25 September 2007, (lot 1627). 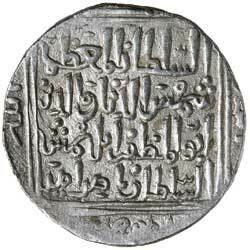 Daulat Shah's reign was very brief. In 1230 Iltutmish marched against him with a strong force and succeeded in capturing him.